Bullfighting : we are for or against , there is no middle ground . 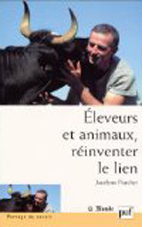 Moving away from this dichotomy , the author considers bullfighting in terms of working with animals . 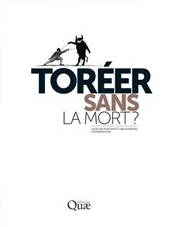 Can bullfighting without death ? In our radically artificialized world, only animals will remind us what nature was, and perhaps allow us to remember our real humanity, but will we know how to live with them? Do we still want to? For the mass slaughter of animals that is considered to be a simple element of “animal production”, inflicts insupportable suffering and terror on them, to the despair of farmers. Moreover, animal husbandry, after 10,000 years of existence, is now often thought of as a nuisance, to the environment as well as to our health. This condemnation rests on a confusion between “animal husbandry” and “animal production”, so it is necessary to understand the complexities therein. What is animal husbandry? What are the differences between “animal husbandry” and “animal production”? What place does death have in work with animals? Can we improve their exit in industrial systems? Must we “liberate animals”, as advocated by some philosophers? 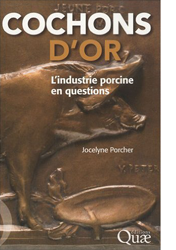 Through addressing these questions, Jocelyne Porcher explains how the capacity for man to coexist peacefully depends on their capacity to live in peace and dignity with animals, and why, therefore, saving animal husbandry by sparing it from subjection to a system of exploitation and an industrial way of death could be one of the most beautiful utopias of the 21st century. 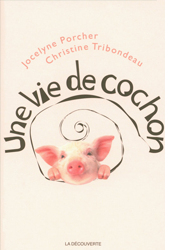 Far from the idyllic image of a little farm in children’s books, these days pigs in their millions are processed in the pork industry. Taking into account the radical transformations in this field, what is work? What is it not? from 2010 to the present. What is the difference between man and beast? Philosophers, psychologists, anthropologists and legal experts have endlessly wrestled with this question. What sense can they give to those who live daily with cows and pigs and create ties with them? What do farmers think? We discover unexpected answers when we listen to them. The animals they work with are intelligent and sensitive, they know what they want and they can divine what is expected of them. 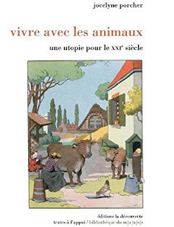 We have a primatology for monkeys and an ethnology for dolphins, bears, wolves, elephants and birds, but we still overlook nearly everything concerning cows and pigs. Their farmers, however, have a wealth of knowledge about them, knowledge which differs from the scientific, and which is rooted in “living together”. What is the difference between man and beast? Strange question! 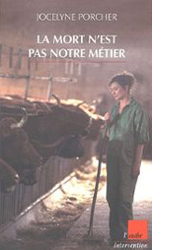 La mort n’est pas notre métier is a book about farmers, farm animals and the rural world. From the first line, it plunges to the heart of this strange world, which is so little known these days: “Piggy is the perfect teaser boar. Its function is to arouse the sows”. 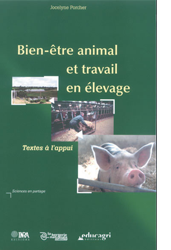 Clear enough, but we learn immediately after that Piggy is a battery-operated machine, and understand that this text, beyond just sharing an immense knowledge of real life in the countryside, will lead us to reflect on what we have done to animals, and, at the most fundamental level, what we are doing to life – to our farm animals, as well as to ourselves. 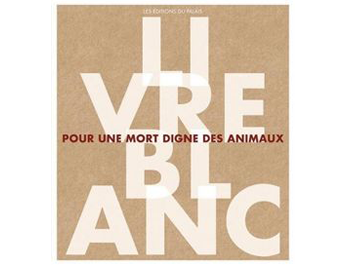 Using the writings of specialists, legal documents and interviews with farmers, the author considers the notion of animal welfare from the perspective of the historical development of farming in the industrial society. 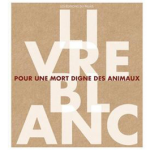 In less than fifty years, animal husbandry in France has been transformed into a set of “animal production” activities, which are identical to other forms of industrial production in their objectives and in the essentials of their methods. This change has been driven by the appliance of science, which has reduced animal husbandry to no more than its economic rationality, and has changed farmers into producers of goods of animal origin. If the quantitative success of this transformation is undeniable, its failure is equally so. Farmers reject the suffering, and testify to their attachment to their animals and the place of affectivity and communication in their work. To prevent the world from becoming an alienated and disenchanted place, within which “we produce pigs like we produce shoes” worldwide, and society becoming one in which neither the farmers nor their animals will soon have a place, we must collectively learn to work with farm animals differently, and re-invent the tie.